Olympic Rings and Other Things: Atlanta's New Midtown Festival of the Arts Arrives! 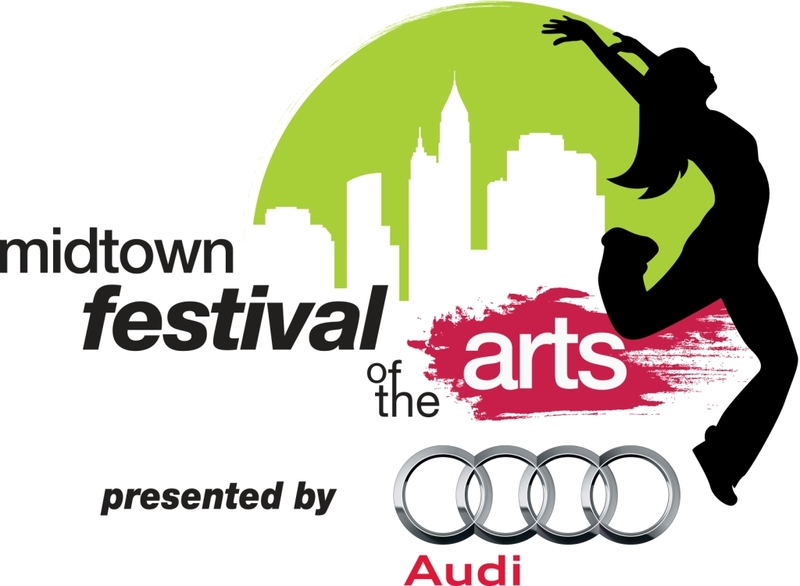 Atlanta's New Midtown Festival of the Arts Arrives! After two years of planning, Atlanta's new Midtown Festival of the Arts (a client) finally arrived on Peachtree Street yesterday. It's awesome to witness the throngs of residents and visitors shopping, dining and strolling between 10th Street and 5th Street, just a few blocks from my Midtown residence. I first learned about plans for the Midtown Festival of the Arts on a call during June 2009. A small group of Midtowners was working hard to secure sponsors and permits to set a very high standard for future event planners seeking to close Peachtree Street. By all indicators on Friday and Saturday, the work of this core group, as well as hundreds of additional volunteers who came on board during the last year, has paid off big time. One of the best things about Midtown Festival of the Arts is the food. My girlfriend and I shared a break on Saturday to dine at "Plates On Peachtree," where we were treated to gourmet samples from Bacchanalia, Ra Sushi, Gordon Biersch, South City Kitchen, Ecco and other culinary arts establishments across Atlanta. I highly recommend the sweet corn ice cream and lobster corn dogs, courtesy of Park 75. Several media outlets previewed or reviewed the Festival this week. Today's weather is bound to cooperate, making for a pleasant afternoon in Midtown Atlanta. We're heading back to the Festival on Sunday to pick up some hand-made pottery art from a couple of the artists along Peachtree Street. Hope to see you there!